SOG Contractor I | BUDK.com - Knives & Swords At The Lowest Prices! A craftsman is only as good as his tools. 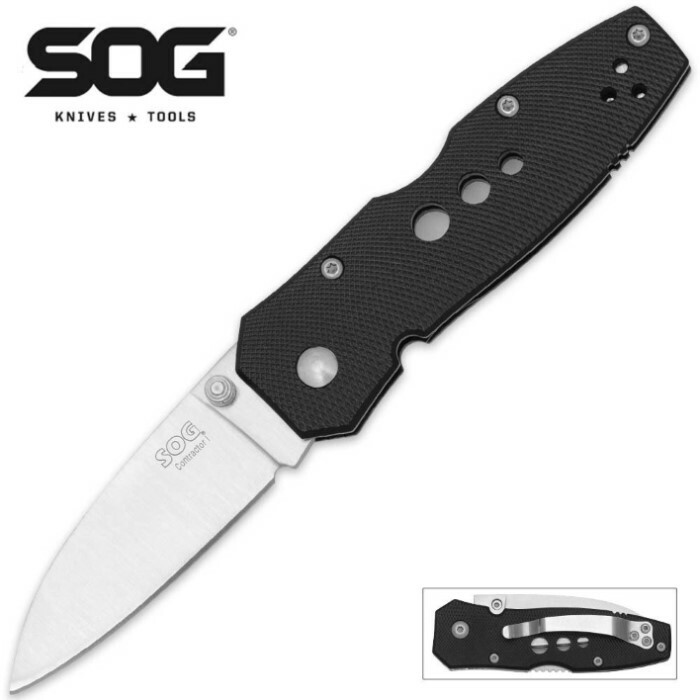 For almost 25 years, SOG has been a leading supplier of knives and tools to the industrial, contractor, and DIY markets. The reason is simply that SOG products are tough and come with lifetime guarantees. The Contractor series is designed specifically for tradesmen, including electricians, handymen, and for those who take pride in a job well done. Modernizing traditional patterns, this knife features: a lockback design, hooked blade shape, aggressive G10 grips, one hand opening, as well as razor sharp blades. 6 3/4" ov, 2 5/8" bl.